When most people think of Iceland, they have visions of shining glaciers coupled with freezing temperatures. While that is true much of the year, Iceland has much more to offer visitors than just an excuse to break out your heavy coat. In fact, it can be much more temperate than one might expect. Even though it’s just 40km south of the Arctic Circle, the North Atlantic current keeps the island ‘reasonably temperate’ for a destination so far north. Iceland is one of the most unique places we’ve traveled to and the amazing, yet somehow alien natural wonders are worthwhile for anyone’s bucket list. Black sand beaches, ice caves, glaciers and the northern lights can all be seen within this tiny island country. You can also enjoy whale watching tours to see a wide variety of these amazing animals in their natural habitat. 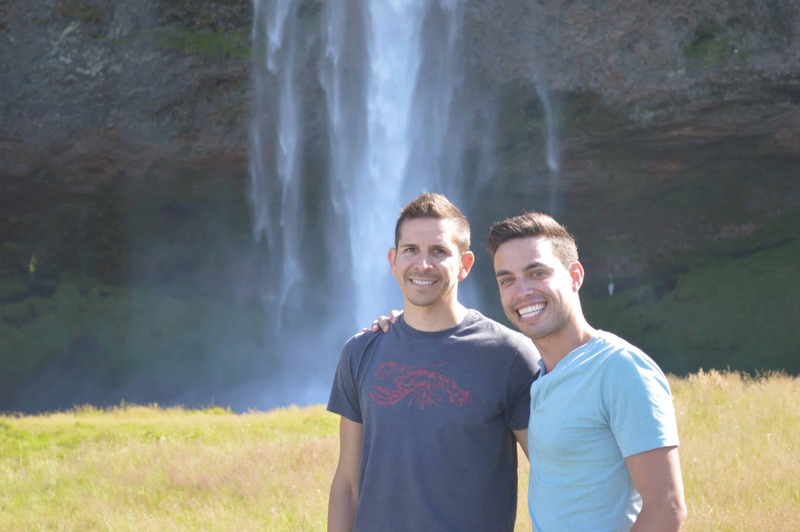 The cities and towns provide insights into Iceland’s unique culture and you’ll quickly learn how this country quickly became a leader in LGBT rights around the world. 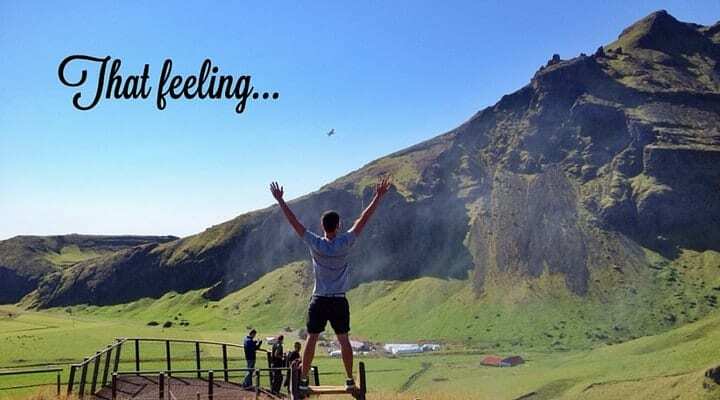 So if you get the chance to visit Iceland, be sure to check out these 9 awesome activities and sights that will simply leave you awestruck. Black sand beaches pepper the Icelandic coastal landscape. The sand is black in color due to the volcanic activity responsible for its formation. 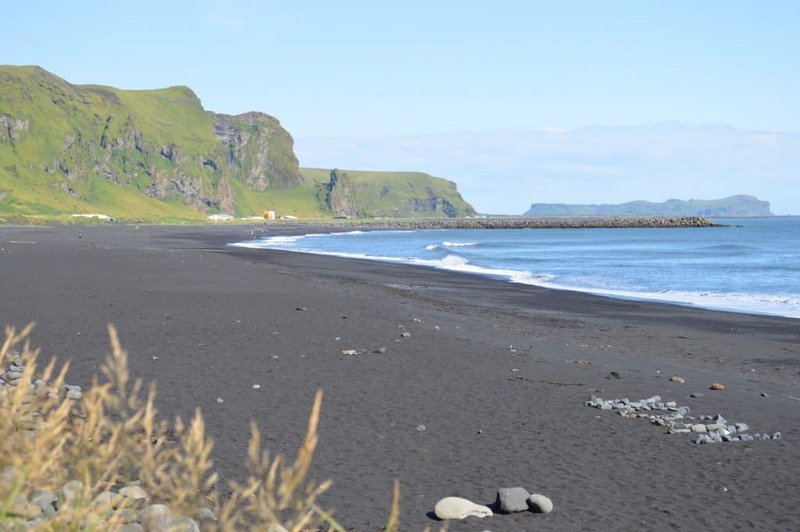 The black sand beach in Vik, along the southern coast, is a popular destination and is just a couple hour’s drive from Reykjavik, Iceland’s capital city. You can also see the beaches near Jökulsárlón a bit father out, but you’ll also be rewarded with the journey as the Glacier Lagoon here is one of the most picturesque places in the country. Of course, it’s unlikely you’ll seek out these beaches to work on your tan, but hey, you don’t go to Iceland for a beach holiday. Iceland is home to a variety of glaciers across the landscape. On the southern coast of Iceland, tours are available (and typically mandatory) for the Solheimjakull Glacier, including walking tours or ice-climbing adventures. Jökulsárlón Glacier Lagoon is also a popular destination that can be found on the Ring Road. If you visit in the winter, you can also access the Crystal Ice Cave in the Vatnajokull Glacier, the largest glacier in all of Europe. Tours are also available for Skaftafell and many smaller glaciers throughout the country. Glacier tours in Iceland can be quite physical, so it is important to be prepared for some exertion. However, reaching your destination can make all of the effort worth it as you take in the amazing sights and colors of some of Iceland’s biggest natural wonders. 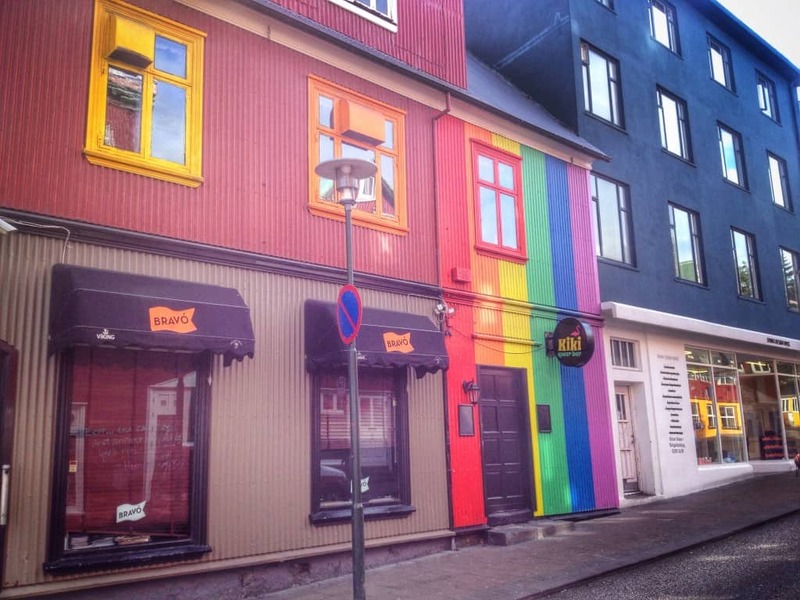 Iceland is a very welcoming country, and this openness and hospitality is easily found in the capital city of Reykjavík, home of the Reykjavík Gay Pride Festival held each summer. The event has hosted over 100,000 attendees from points near and far. The celebration lasts for six days and has been held annually since 1999. Along with a colorful parade, you’ll find a range of outdoor musical performances, cultural and sports activities plus nighttime entertainment and parties throughout the week. The festival is popular among the LGBT community but hugely supported as well by both locals and other tourists. The welcoming atmosphere encourages everyone to come together to support universal human rights for all people regardless of their orientation. If you thought a visit to Iceland meant no swimming, then you’re in for a surprise. 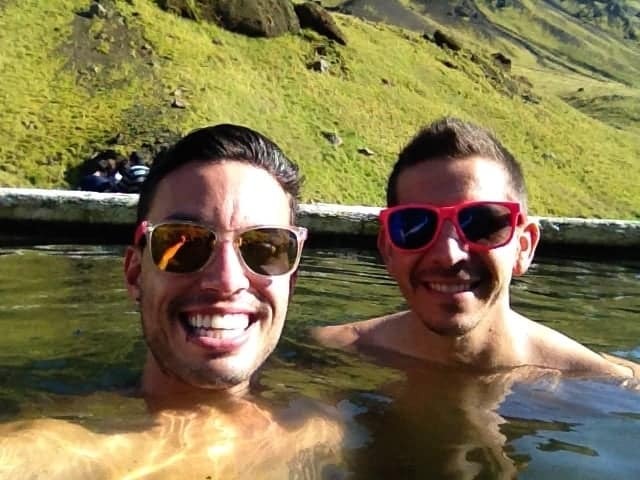 Natural hot springs are also located across the country of Iceland. Some of the springs are hotter than others, but many feature waters that are comfortable enough to bathe in. Tourist and locals can enjoy spending a day in the warm waters of the Blue Lagoon on the Reykjanes peninsula, near Reykjavík, or the Myvatn Nature Baths in northern Iceland. The Secret Lagoon near Flúðir is one of the oldest known pools and the Laugarvatn Fontana Geothermal Baths even feature saunas built over a hot spring. There are also more than 17 public pools in Reykjavík, or you can visit the Hot River Varma near Hveragerdi just an hours drive from Rekjavik. Many of these locations are perfect for swimming or simply relaxing in the warm waters. 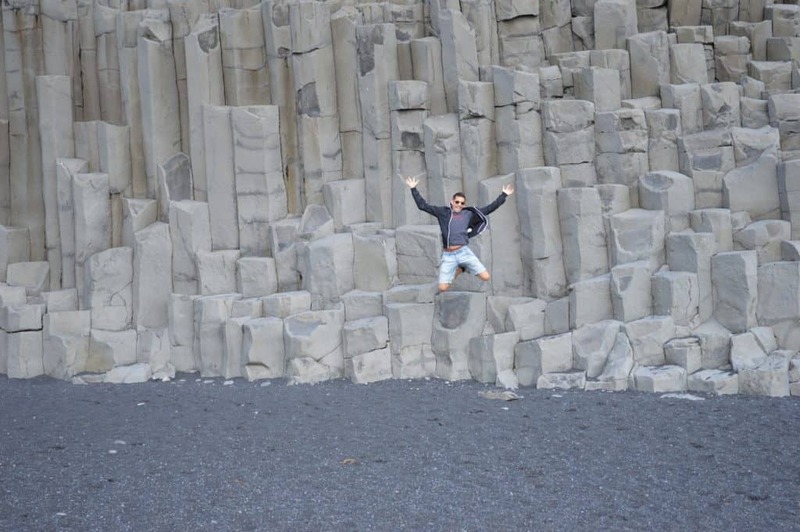 Iceland’s basalt columns are incredible, natural occurrences that form in a variety of geometric patterns. These 70m high rock formations are just another of Iceland’s natural wonders and they make for great sightseeing and photo opportunities. The most accessible formations can be found near the black sand beaches of Vik, as well as in Gerduberg in West Iceland or Reynishverfi. In fact, the Reykjavik Cathedral design paid homage to these magnificent columns and you’ll find geometrical references to these columns all throughout Reykjavik and across the island. With its proximity to the Arctic Circle, Iceland is ideally located for viewing the northern lights. On a clear, crisp winter night, you can watch the colors dance across the sky. Tours are available beginning near Reykjavík, including some 4×4 jeep tours out into the wilderness. Sightings are most common beginning in autumn and running into spring. Catching a glimpse of the elusive northern lights can be a challenge and its best done in the company of a local guide. These experts know the best time and place to get a chance at experiencing this unique phenomena first hand. Iceland is an excellent destination for whale watching too, and it is a popular excursion among visitors. Over 20 species have been known to frequent the area including humpback, sperm and killer whales, along with harbor porpoises and white-beaked dolphins. Tours can be found along the coastline including near Reykjavík, Laki, Akureyri, Huaganes and Husavik. You’ll have the opportunity to explore the beautiful coastline while waiting for the magical creatures to appear. From April to September is the best time for whale watching excursions, making it an excellent summer adventure. 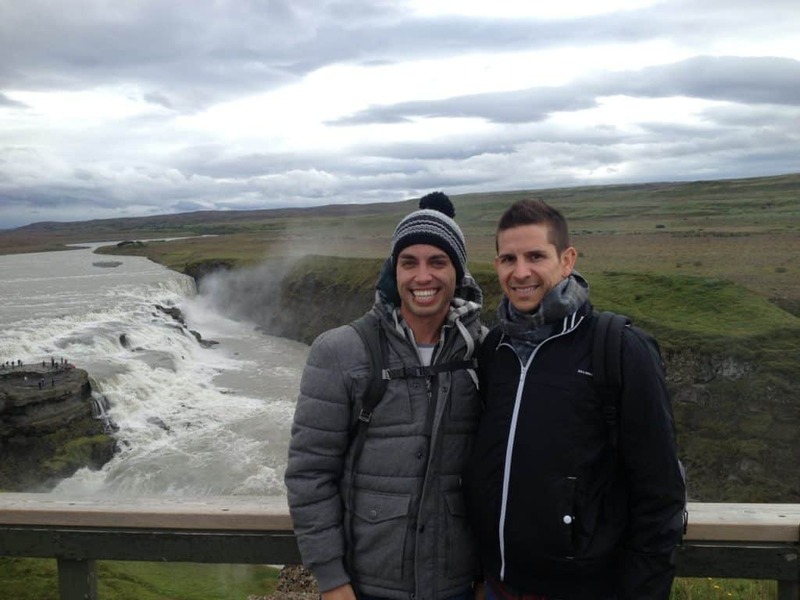 Another moving experience involves visiting some of Iceland’s famed waterfalls. 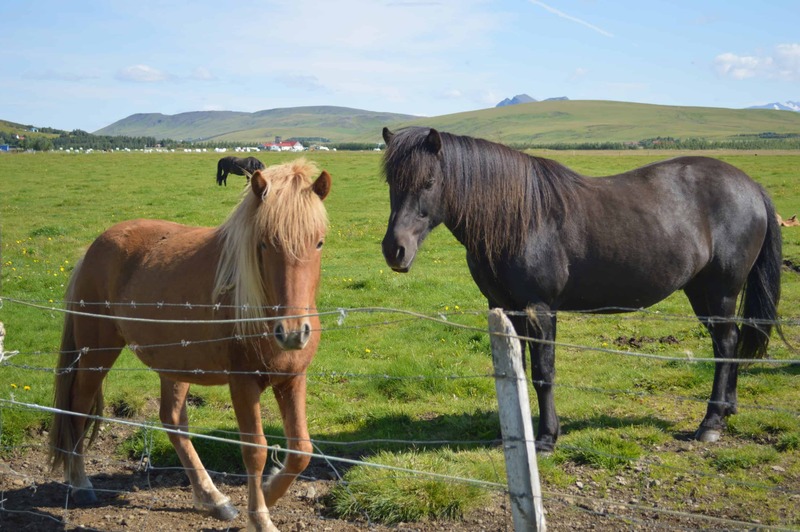 If you have a car, you can explore on your own, otherwise tours are available to some of the most popular sights including Seljalandsfoss waterfall, Haifoss waterfall and Skógafoss waterfall. The waterfalls are stunning anytime of the year but are perhaps best experienced during the warmer months from April to September when the water levels are the highest and the backdrop of the green, mountainous landscape makes for stunning views and photos. The Golden Circle combines an opportunity to see three astonishing landmarks within a short drive from Reykjavik. The tours often begin with Thingvellir National Park, the location of the founding of the Icelandic parliament over 1,000 years ago. That stop is followed by a visit to the Geysir geothermal area located in Haukadalur, with the final stop being at Gullfoss waterfall. Throughout the journey, you will have the opportunity to take in breathtaking views and enjoy Iceland’s landscape for all it has to offer during a single day. Which activity or sights in Iceland seem the most interesting to you? Let us know in the comments below! Hi guys! I’ve really enjoyed this article. Reading it was like being there and feeling that nature. Thanks!